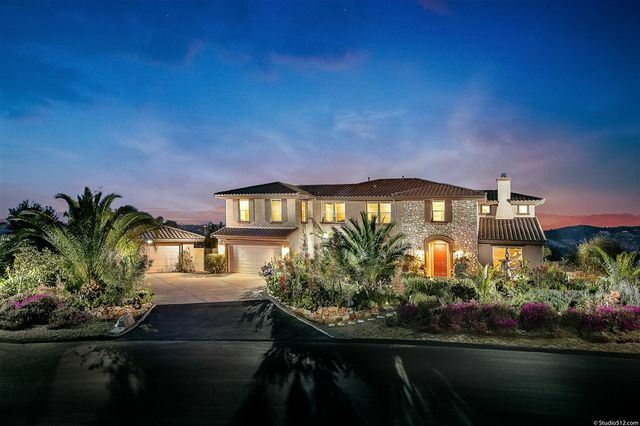 #VIEWS - This stunning estate of 5BR/4.5BA home is beautifully situated on 5.26 acres and boasts nearly 4,626 sq ft. Come enjoy this chef's gourmet kitchen with stainless steel appliances, extra large granite centered island. All while you enjoy absolutely amazing views right out of your window. You'll love size of home inside and out! Abundance of natural light comes through the large windows and French doors. Or enjoy a nice walk on your own property with your walking trails right within your property. Golfers Paradise! No detail was spared in this completely remodeled home, drywall with rounded corners, custom cabinetry in kitchen with soft close dove tailed drawers, top of the line stainless steel appliances, granite countertop, recessed lighting, laminate flooring in dining room where large sliding door leads you to slate covered deck for entertaining friends on cool summer nights. 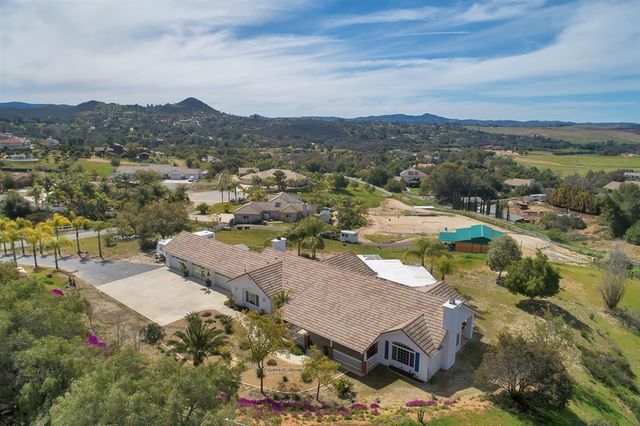 The yard is meticulously landscaped for low maintenance, 3 sheds, golf course and Palomar Mtn views. Gated 55+ park. West Valley Center. 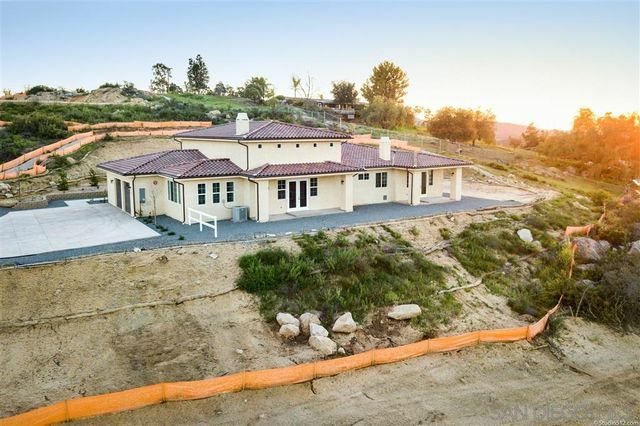 Gated, Secluded, Hilltop views, Private Road Minutes to I 15 and Gopher Canyon Road. One of 3 contiguous lots that range from 4.53 to 6.4 acres Each. Easements in place for the road All cross lot easements are in for the water. 1 inch Water Meter with T is in place. Septic ready to install as per parcel map Bring your house plans Lot Financing to construction loan to final mortgage is available. 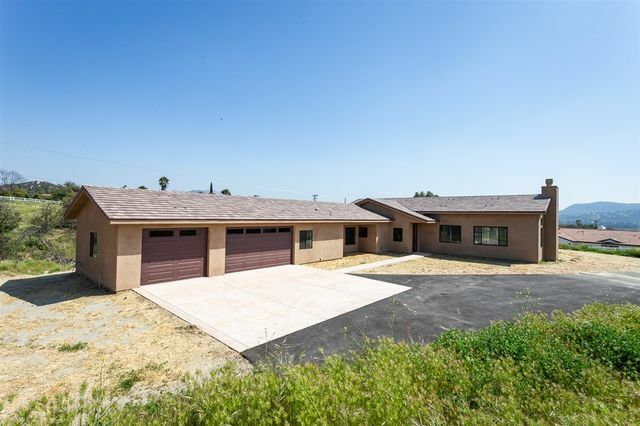 Newer home with awesome panoramic, mountain views to enjoy from your gorgeous back yard, pool, & patio areas. An open floor plan adds to your enjoyment with over 3,000 square feet of living space that includes a beautiful kitchen with granite counters, abundant cabinet space, & a breakfast nook. A formal dining room, 2 family rooms, & a nice master bedroom and bath with plenty of space and a walk-in closet. A NEWER 42-PANEL SOLAR SYSTEM will keep your energy costs very low throughout the year. 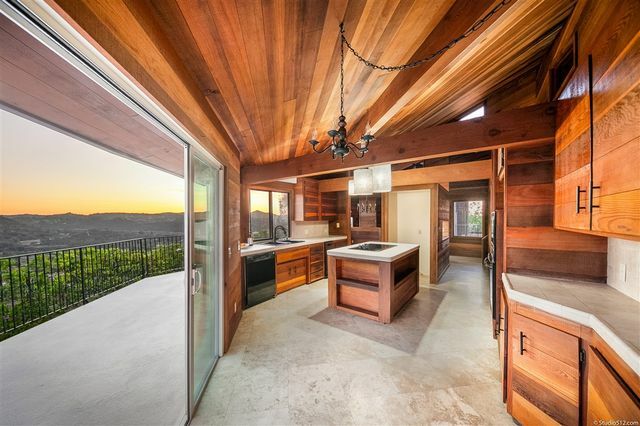 Spectacular panoramic views! 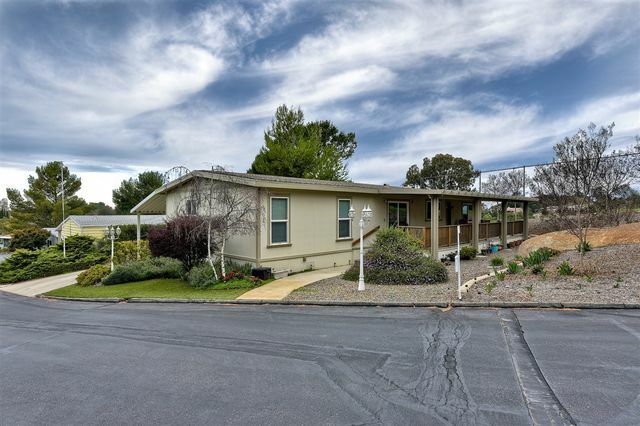 Beautiful single level ranch-style with attached SIX CAR GARAGE & plenty of parking area! Room to add horse facilities, pool, guest house, etc. Very light open interior w/spacious kitchen opening to family rm. Kitchen features center island, 2 walk-in pantries, white cabinetry, granite counters, newer stainless appliances & nook w/bay window to views! Striking ledgestone fireplaces in fam rm & luxury-size master suite! French doors open to guest BR at entry (could be office). 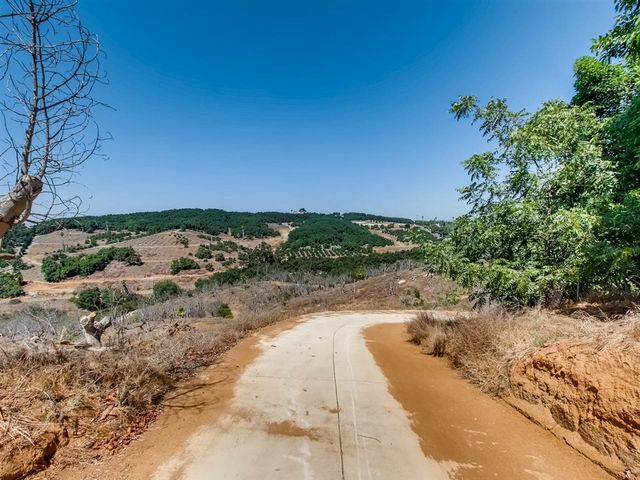 GREAT OPPORTUNITY FOR BUILDER OR INVESTOR OR CLIENTS LOOKING FOR MULTIPLE LOT FOR DEVELOPMENT THIS SPECTACULAR 4 lot 44 acre subdivision, lots range from 8.4 to 16.9 acres. 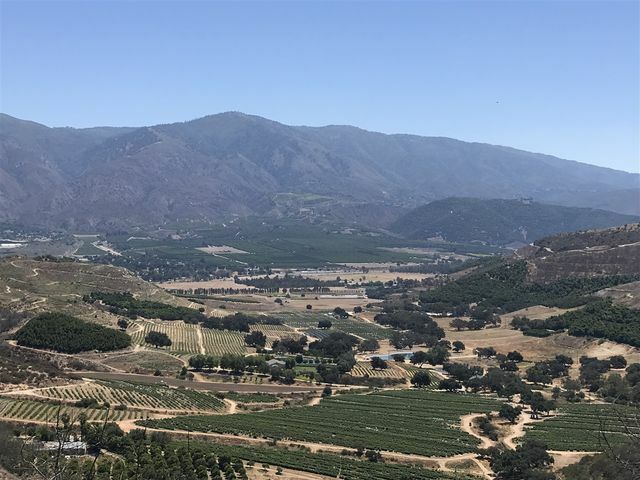 Wonderful views to Palomar Mountain, former avocado grove parcels are being cleared and could be replanted. Each lot has a water meter partial fencing. County requires covenants be completed prior to building permits being issued.